As promised, here comes the in-depth descriptions for the TAGAP 2 screenshots released on Christmas eve. Without any unnecessary ado, let's cut to the chase. 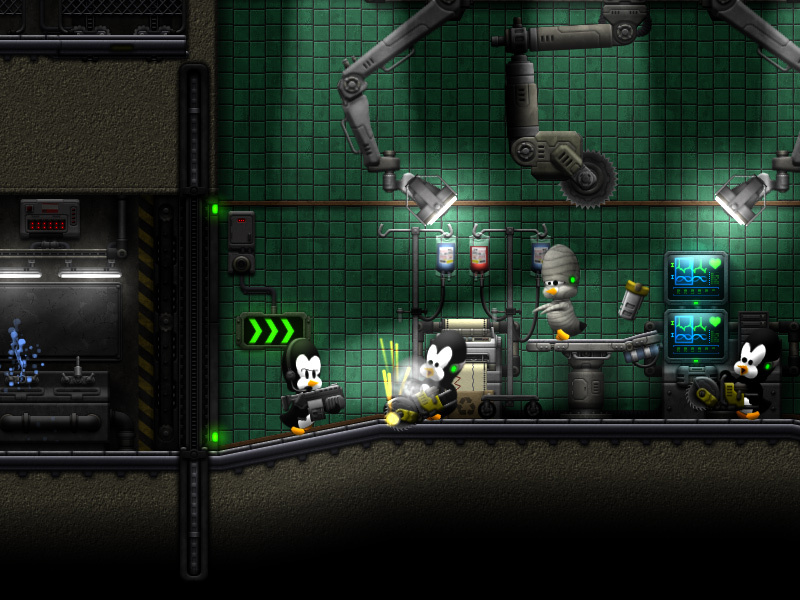 It's operating room of zombie penguins and naturally it's a bit off. The focus of this screenshot is the level of detail. From the broken faucets in surgical theater entryway to buzz-saws, spotlights and infusion bags, it's all custom made for this particular section. And to give you some perspective, this is a tiny fraction of a lot larger level. While most of the environments in TAGAP 2 are brand new, there were a couple of sections in original TAGAP I wanted to re-visit, mainly because the revamped engine can raise them to new atmospheric heights. 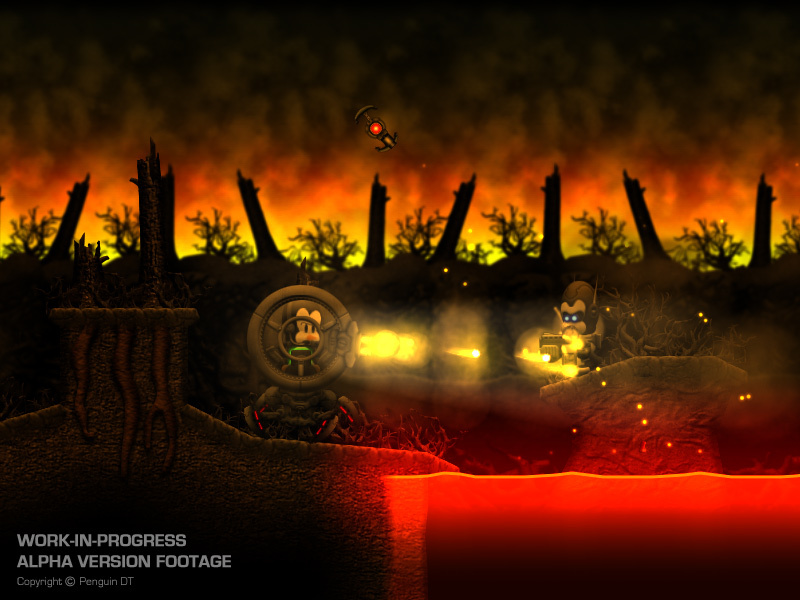 This lava section is one of them, taking full advantage of improved particle generators, dynamic content loading and per-level attributes. It's kept brief and spiced with one of the wackier vehicles, power turret on legs. It's all-out laboratory shoot-out with rockhopper elite penguins using commando ropes to jump on Pablo when he least expects it. 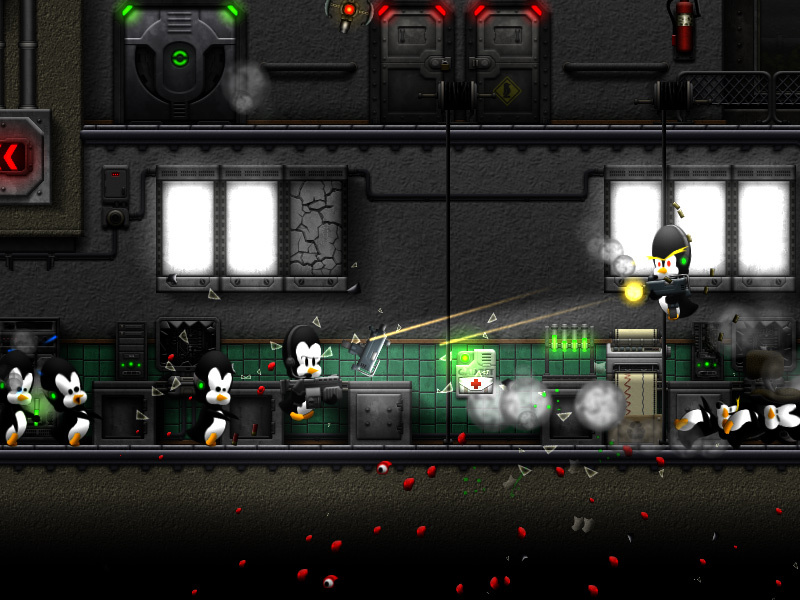 As you can see, despite all the engine-sidde additions, gameplay of TAGAP 2 still fills the air with tons of debris, bullets flying overhead and zombie penguins stumbling your way.